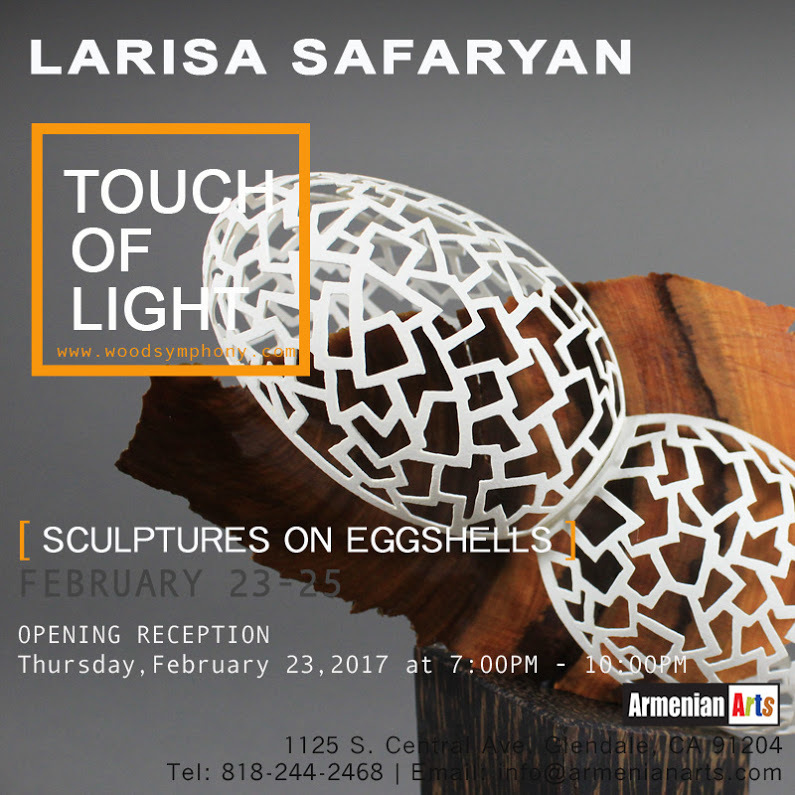 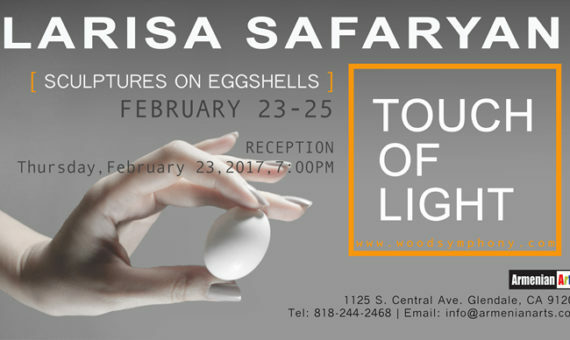 Touch of Light is an exhibition featuring Larisa Safaryan’s delicate sculptures. 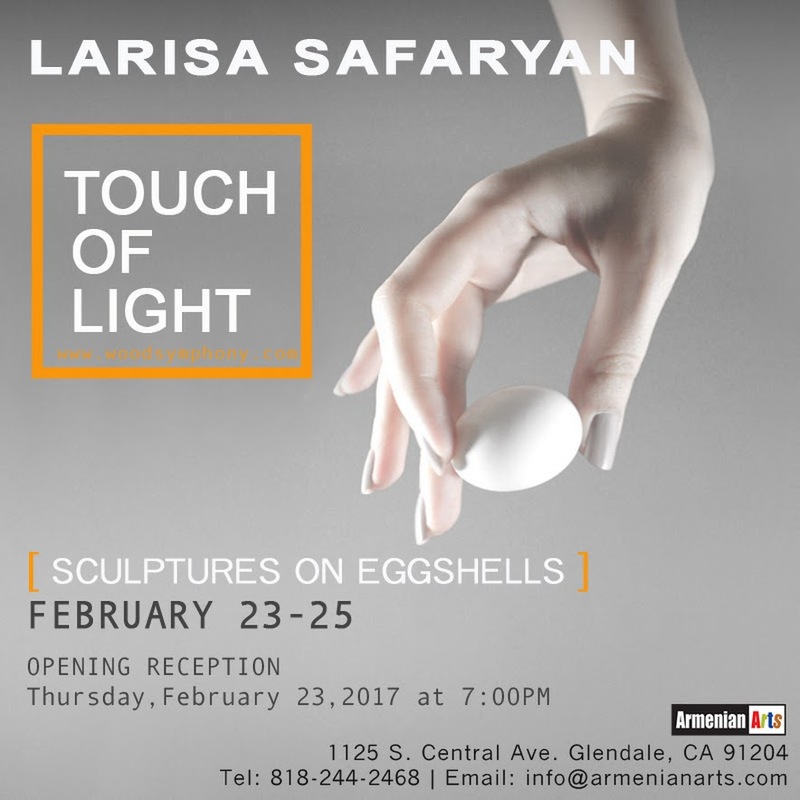 Larisa Safaryan’s unique creations are her subtle but direct expression of the joy, energy and emotionality that she carries inside her. 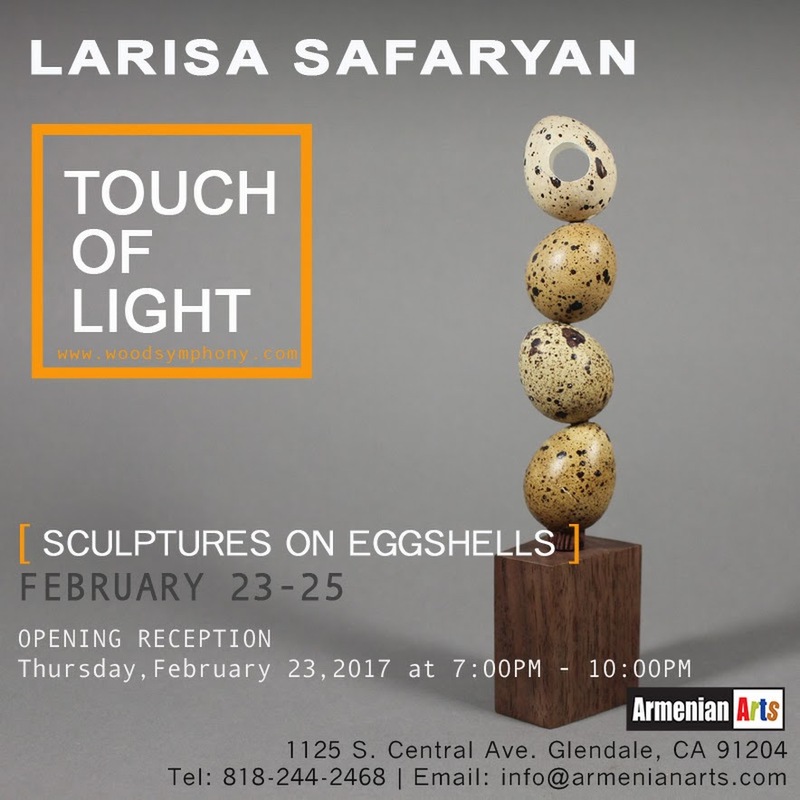 We invite you all to join us for the opening reception on Thursday, February 23, 2017 at 7:00 p.m. to 10 p.m. and have the unique chance to see Larisa Safaryan’s new creations.